The Fluke Calibration pneumatic calibrators are an easy-to-use alternative to traditional deadweight testers. 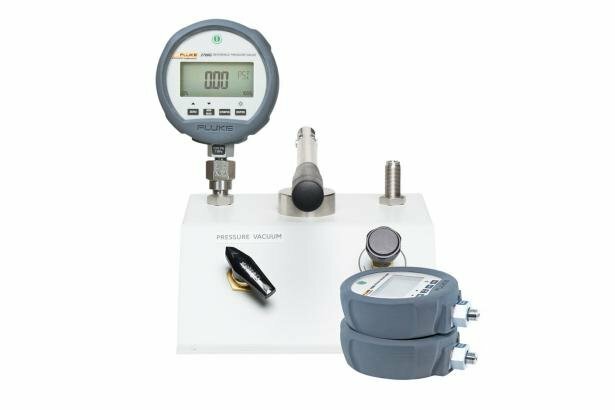 These pressure calibrators are conveniently bundled with up to six 2700G Reference Pressure Gauges for a complete, benchtop pressure calibration solution to provide the accuracy, reliability, and capability you need to calibrate dial gauges, digital test gauges and pressure transmitters. 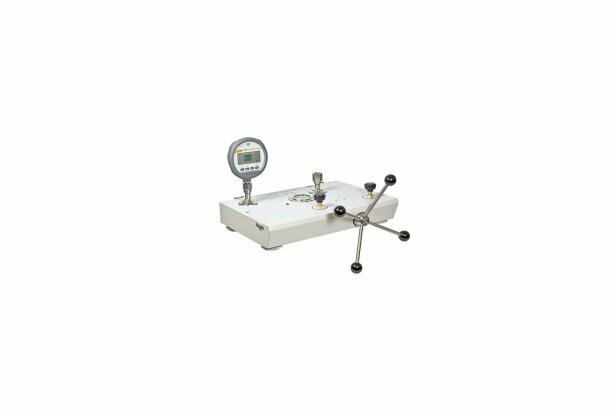 This pneumatic calibrator with a 2700G Reference Pressure Gauge is designed for testing pressure measuring instruments wherever needed, using the included 2700G as the master test gauge. 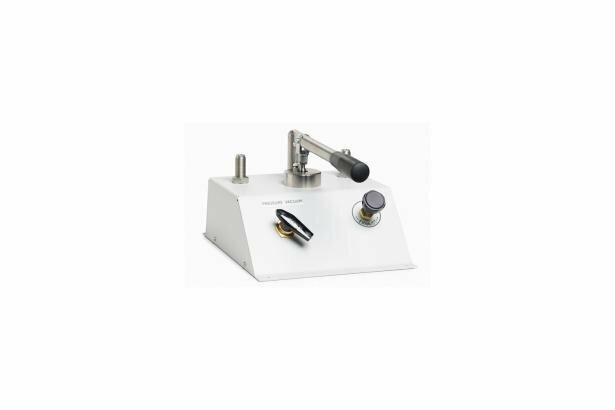 This cost effective instrument is portable, manually operated, requires no external bottle, and provides robust generation of pressure and vacuum up to 300 psi.